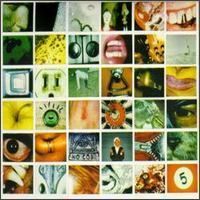 No Code is the fourth studio album by the American alternative rock band Pearl Jam, released on August 27, 1996 through Epic Records. Following a troubled tour for its previous album, Vitalogy (1994), in which Pearl Jam engaged in a much-publicized boycott of Ticketmaster, the band went into the studio to record its follow-up. The music on the record was even more diverse than what the band had done on previous releases, incorporating elements of garage rock, worldbeat, and experimentalism.